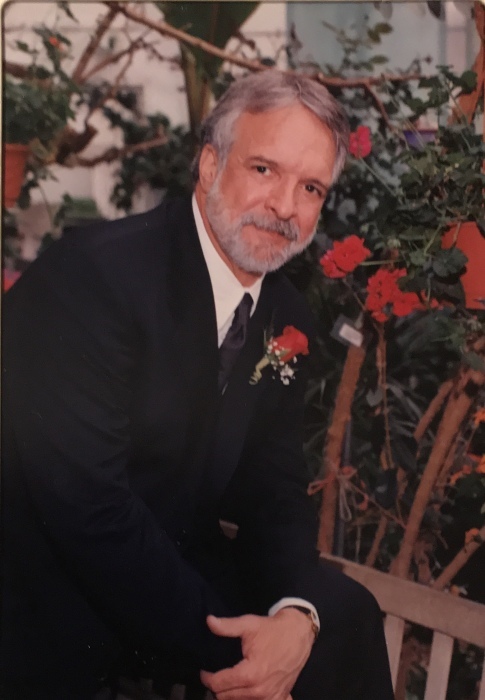 Robert Dellino LeBoeuf age 68, of Broken Bow, Oklahoma went to his heavenly home on Tuesday, April 2, 2019. Robert Dellino LeBoeuf was born the first son to Hermylee and Andrew LeBoeuf in Lake Charles, Louisiana on March 12, 1951. He was Coonass to the core and called the bayous of Creole his home, where hunting and fishing were his passions. He was preceded in death by his parents, Hermylee and Andrew, his grandparents Oliver and Estelle LeBoeuf and Robert and Curry Doxey, and a dear uncle Dallas LeBoeuf. He is survived and forever cherished by his wife of 19 years and 3 days Mary, brother from another mother Paul Hanks, dear cousins Robert J. LeBoeuf, Betty Walters, Cathy Nunez, and Leslie Griffith among others. He is also survived by a virtual army of friends who are too numerous to name. Today we say "good bye" to a great man, a wonderful husband and a true friend to many. He was described by one of his college professors as a man who could see around corners. So, it was obvious to even those who educated him, that he would go beyond the well trodden path. He surpassed what could be taught by text books and universities in his pursuits, not of profit, but of the truth. He had the quiet confidence that let those who would listen know that their life was about to change in very powerful and completely truthful ways. To those who choose to not listen, he would leave them in the dust of their own ignorant confusion. In his years in academics, he said that he felt that he was running against the wind. But in fact, he was the wind - easing you along when he had your back, but hurricane force if he was against you. It seems the only thing that could possibly take Bob down would be cancer. He took a part in conquering it, by discovering a tumor suppressor gene. It seems that cancer retaliated first by trying to take his manhood with aggressive prostrate cancer. When it failed, cancer took the very soul of the man by taking his speech and his intellect. Then we watched these past few months, as he slowly passed like the devastating regression after the tsunami wave that was brain cancer. We can only hope and pray that his cancer research of the past may, like a buried land mine, hit the target in the end. A Celebration of Life will be held on Wednesday, April 3, 2019 at 4:00 P.M. at Bunch-Singleton Funeral Home Chapel in Broken Bow, Oklahoma with Bro. Jimmy Westbrook officiating. Interment will follow at the Crown Hill Cemetery in Broken Bow, Oklahoma. In lieu of flowers please send donations to St. Jude or Shriners Children’s hospitals.